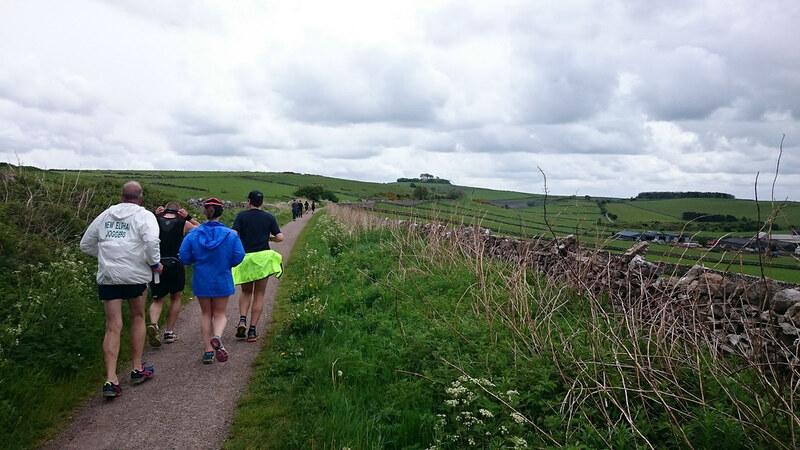 You’d have thought that this would have been one of the better half marathons, nice and flat along a disused railway line in the Derbyshire Peak District. Unfortunately not, despite the nice views over the rolling hills, the course itself was a 12 and a half mile slog along a compacted trail where the old track used to be, but with zero deviation, so mile after mile of the same…… Last half turned off and followed the canal, but we’d lost interest by then. Nice to run with our daughter though (and her fella and his dad) but that unfortunately was the only highlight.